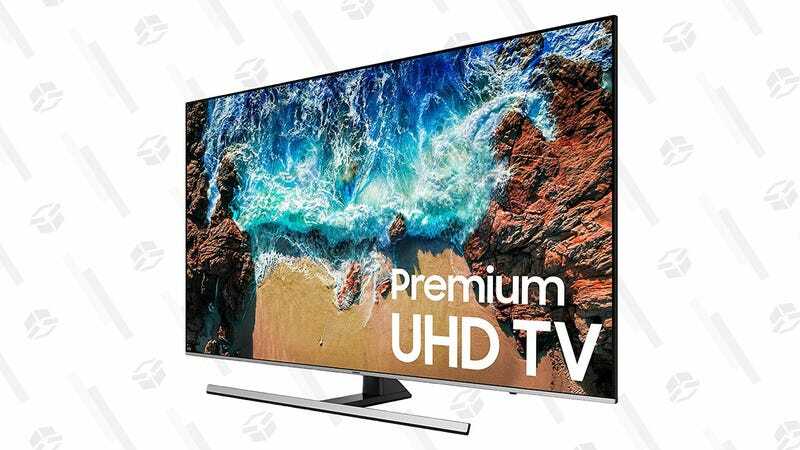 If you’ve had your eye on Samsung’s 8000-series TVs, which are the company’s best non-QLED sets this year, their Black Friday discounts are already live. Every size (55", 65", 75", and 82") includes Samsung’s new Dynamic Crystal Color engine and HDR10/ HDR10+ support, plus some nice quality of life features, like the Bixby voice assistant, and a quad core processor for speedy smart app operation. These prices are the same that we’ve seen in Black Friday ads, and we have no reason to expect them to go any lower. So buy now, and you’ll be set up in time for Thanksgiving football.